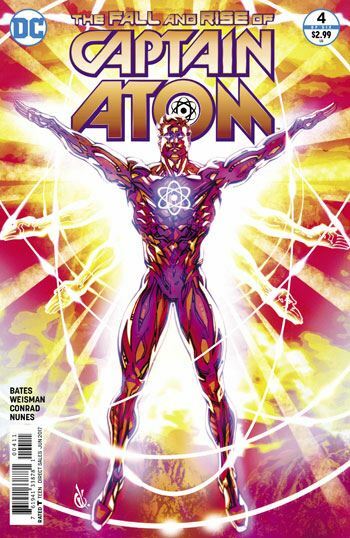 Back in the late 80s, when DC first started its version of Captain Atom, the thing that really drew me to the character was the “big lie.” Captain Atom’s public persona and origin story were all a fraud, created by the government to cover up the truth about who he was, and how he came to be. In some ways, it resembles the version from the late 80s, although that largely was designed to incorporate the Charlton origin for the character, making his story into the lie. The version in this issue goes a bit further, it’s better thought out, and more elaborate. The story also appears to be re-introducing Major Force. At least, it is introducing someone whose origin and connection to Captain Atom is very similar to that of Major Force, although the man and his powers seem different. I was also extremely pleased with the chilling ending to the issue. The degree to which those who seem to be on Captain Atom’s side are really working to their own agendas, and lying to him. Makes it all the more understandable that Captain Atom himself is lying and going behind their backs. No one is completely honest and open in this book. No one, not even the hero, can be trusted completely. Paranoia and manipulation pervade this book, and make it an exceptionally enjoyable read.